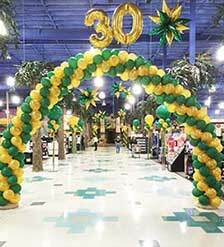 & the Peninsula for over 30 years! 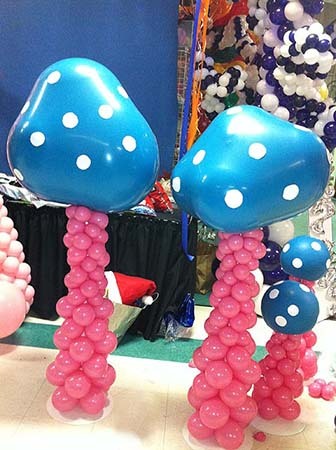 Are you looking for unique decorations for your wedding, celebration, or corporate event? 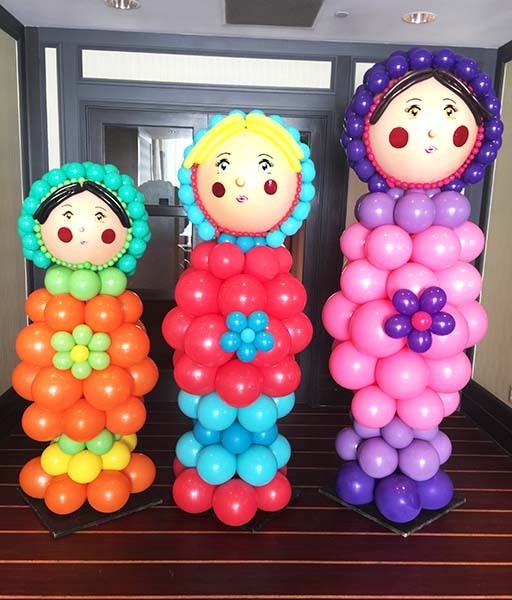 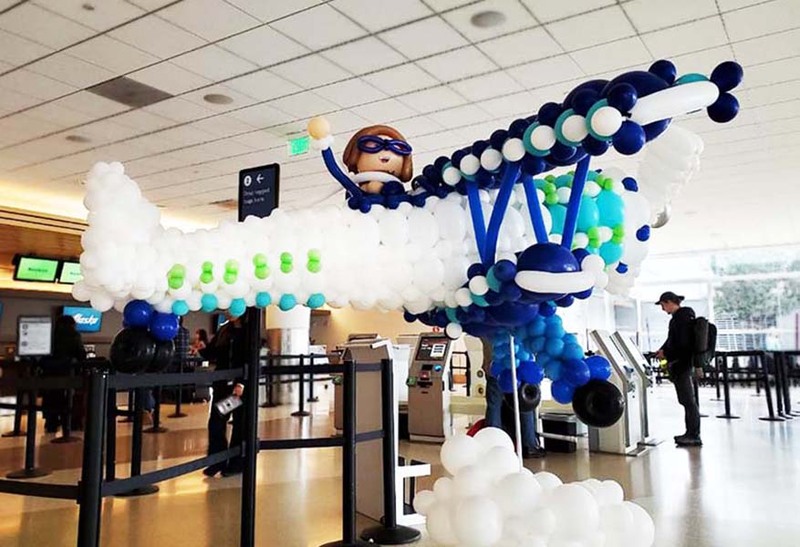 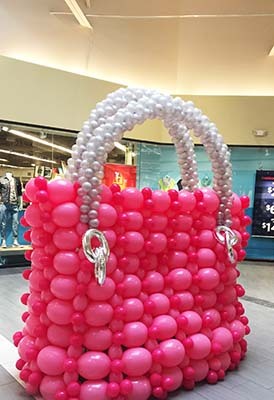 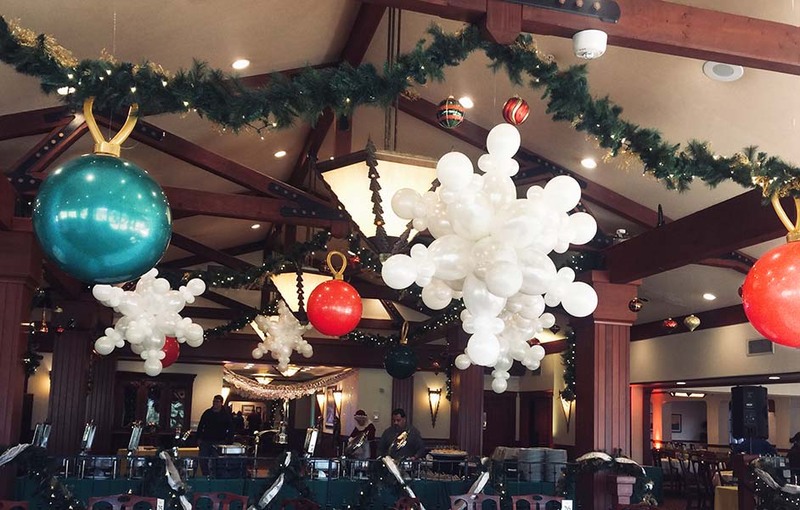 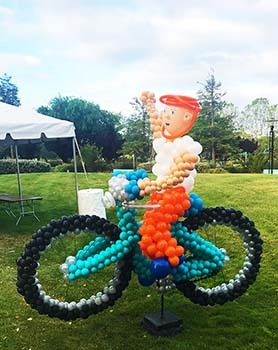 Our designers create one-of-a-kind balloon sculptures, event decorations, and balloon bouquets to make any occasion memorable. 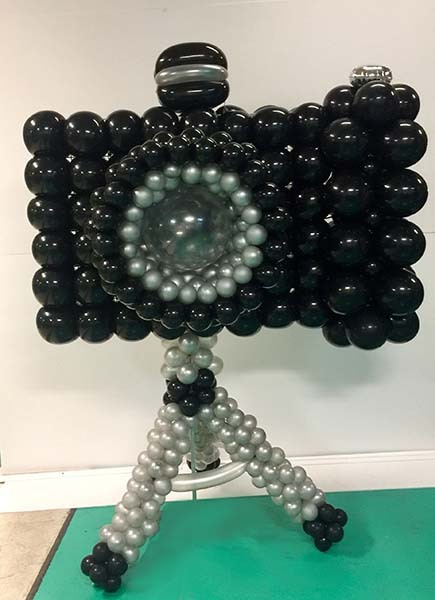 Explore the photos of our creations, all of which can be customized to your requirements. 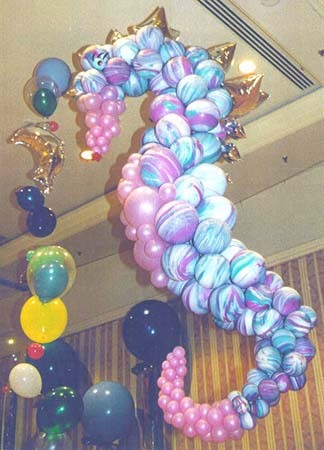 Mardi Gras and Carnevale Party decorations. 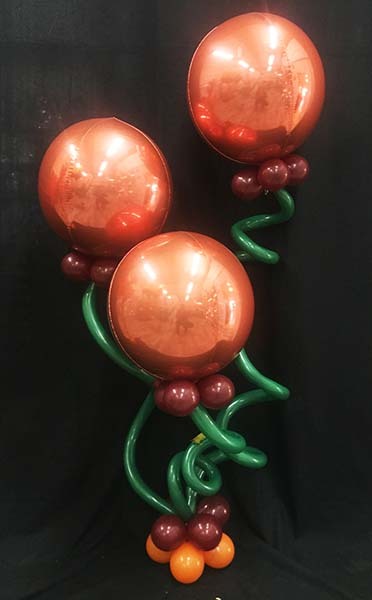 Balloons are orbs of color that catch and hold a viewer's eye, lending themselves beautifully to a variety of decorative themes. 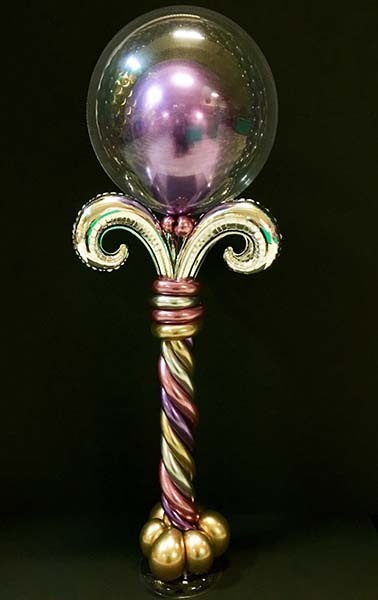 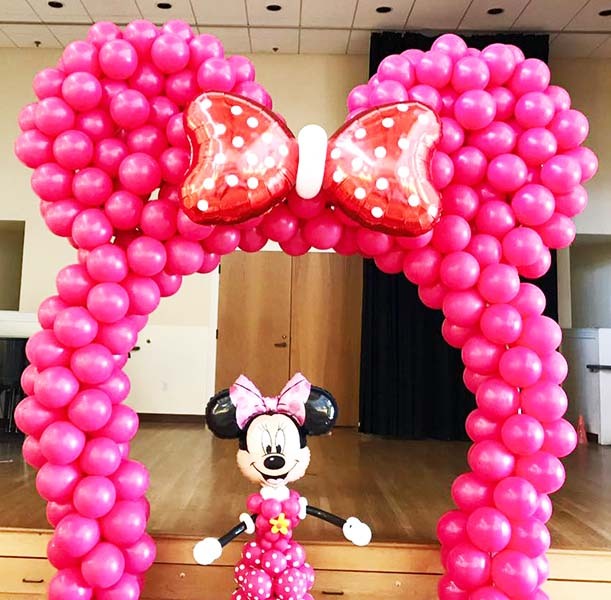 We create colorful jewels, arches, floating crystals, imaginative character sculptures ... whatever you imagine to make your celebration unique and memorable. 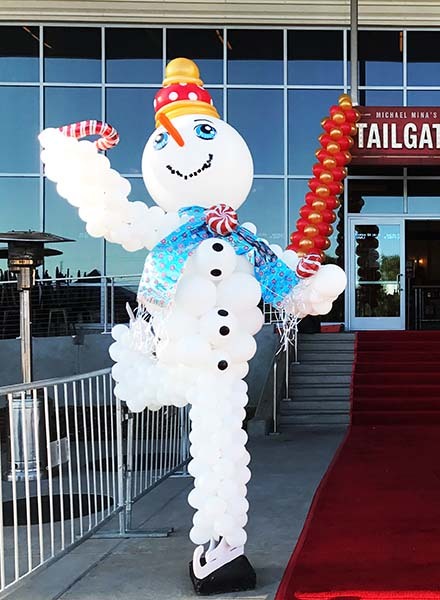 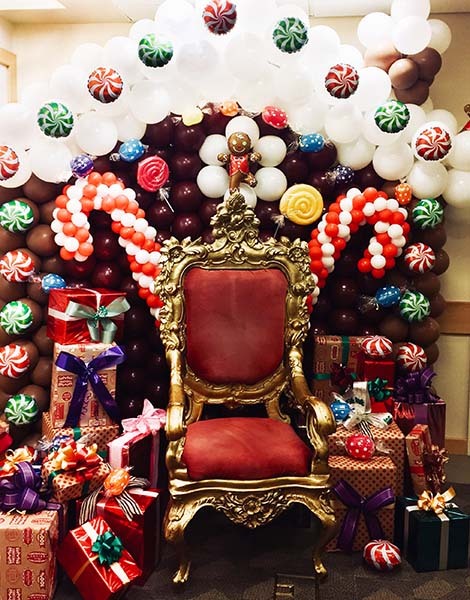 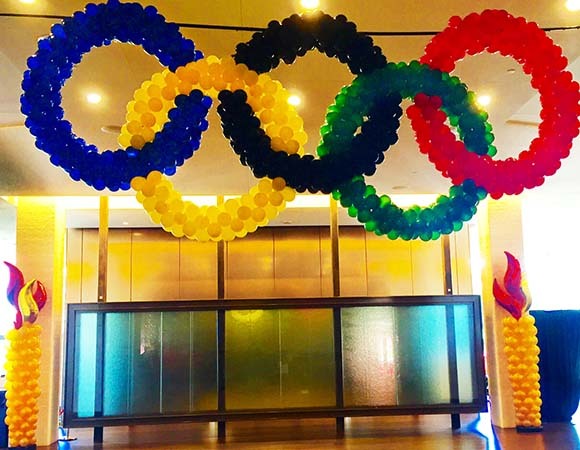 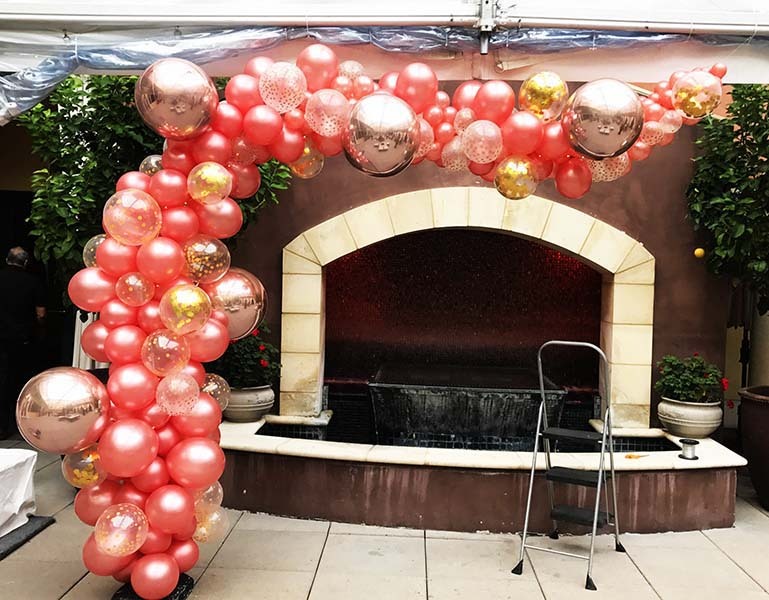 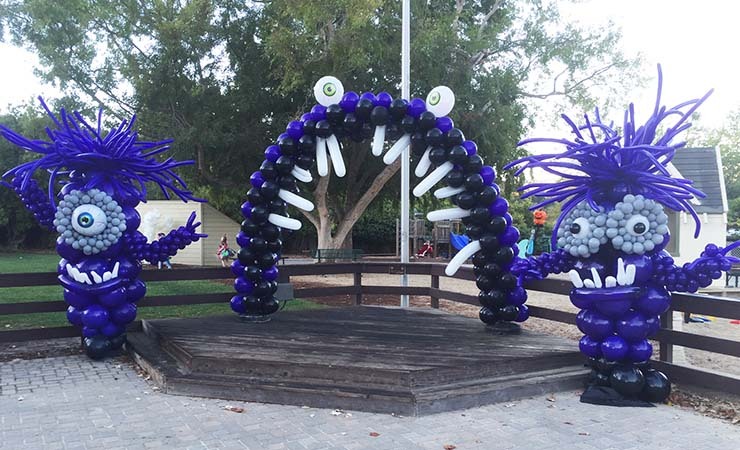 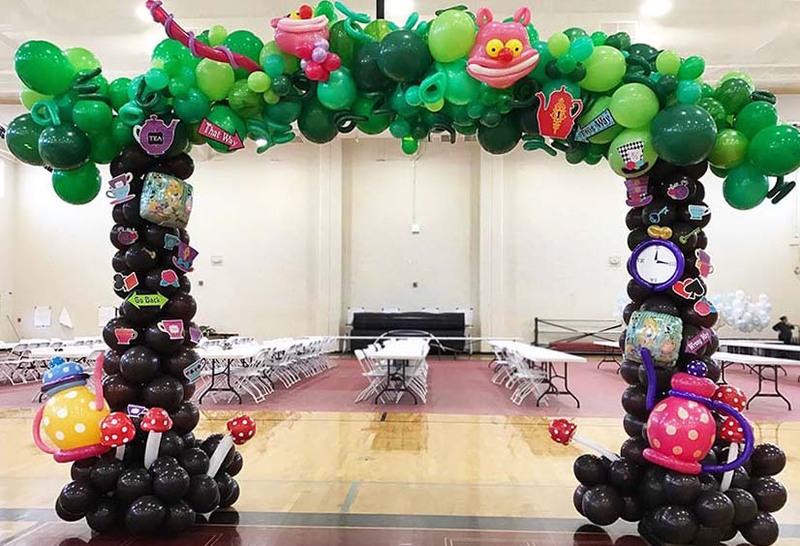 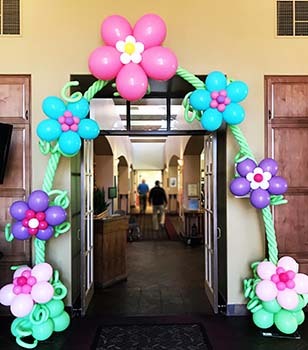 Balloonatics designs custom decorations to transform your venue, conveying your theme and creating an atmosphere to make your event memorable. 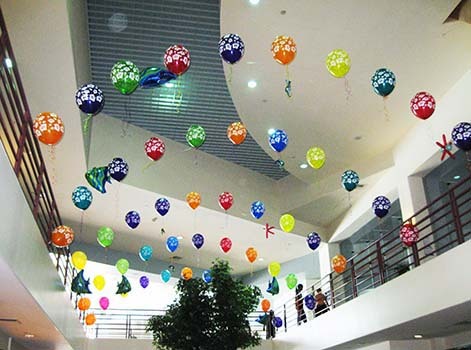 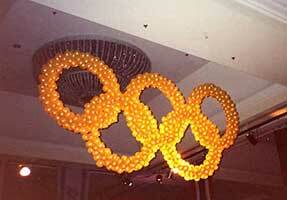 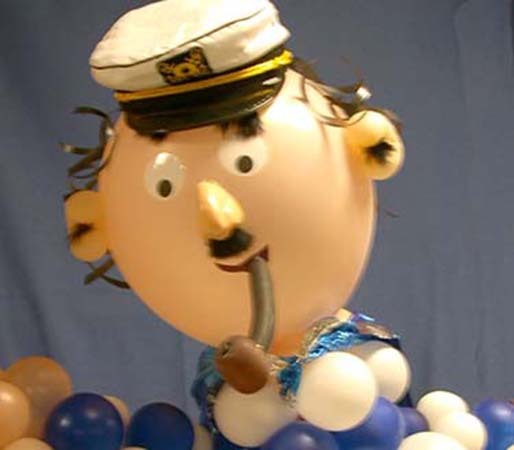 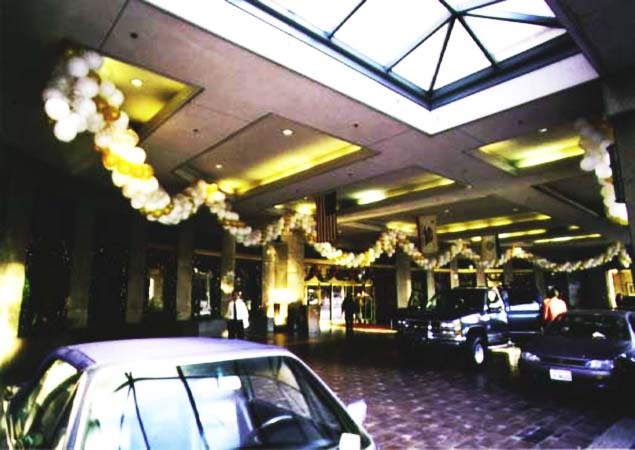 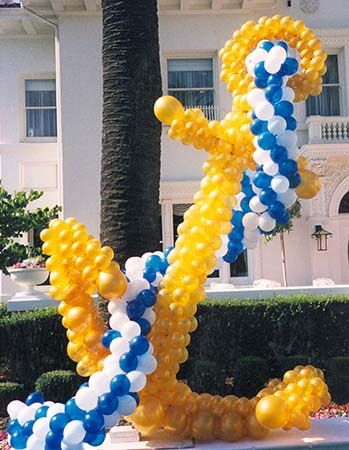 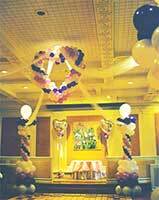 Choose Balloonatics decorations for weddings, graduations, mitzvahs, births, birthdays, reunions, sports events, etc. 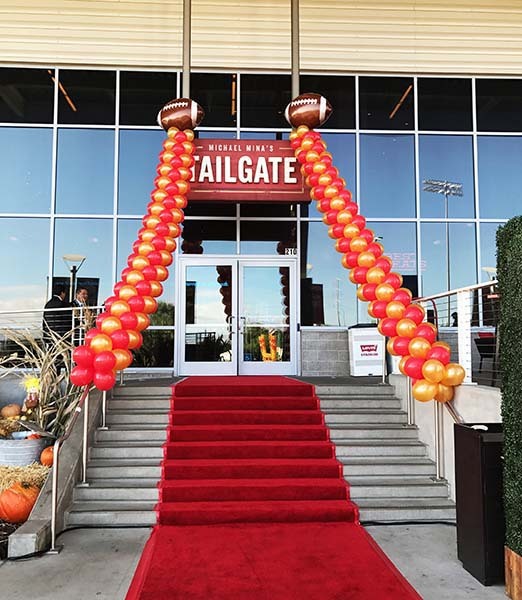 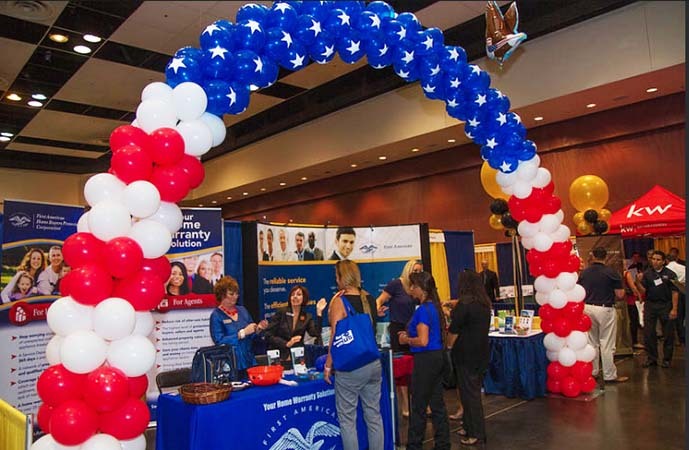 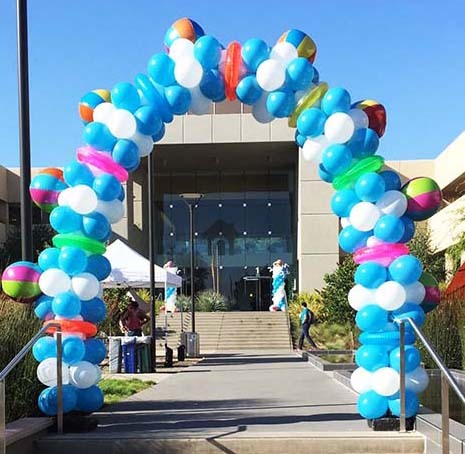 We create a wide spectrum of decorations for business events of all sizes, including marketing and promotional events, awards and recognition events, and product introductions. 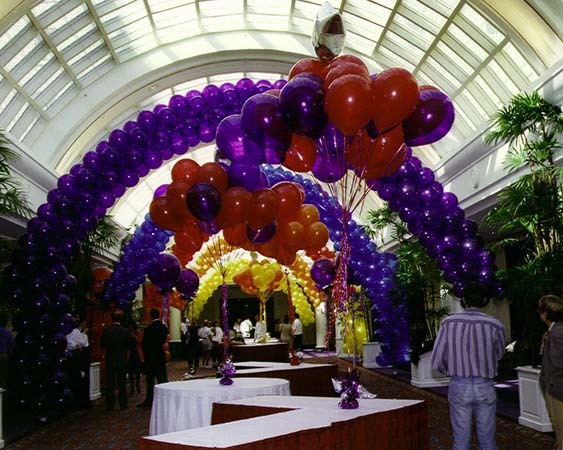 Our custom decorations beautifully communicate the theme of your event while keeping costs within your budget guidelines. 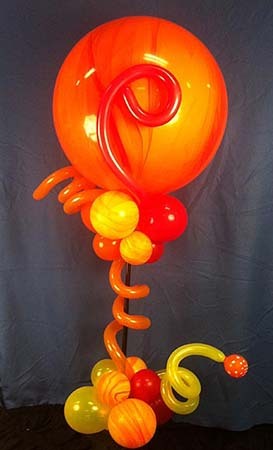 Now is a great time to order a colorful balloon bouquet greeting for a special someone. 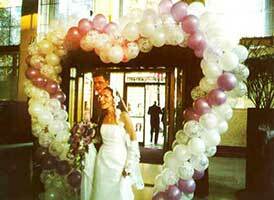 Our bouquets send a message of cheer for all to see in addition to your message on an attached card. 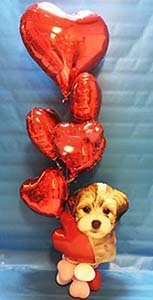 Celebrate birthdays, graduations, promotions, or just say "Thank You" with a gift balloon bouquet. 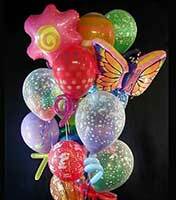 Delight party-goers of all ages with expert balloon twisting and face painting entertainment from Balloonatics! 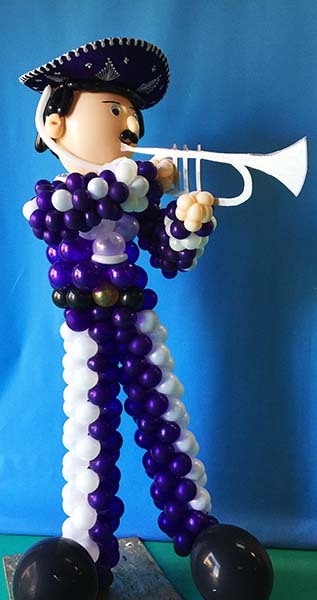 Our artists and entertainers provide a fun and interactive experience for your guests. 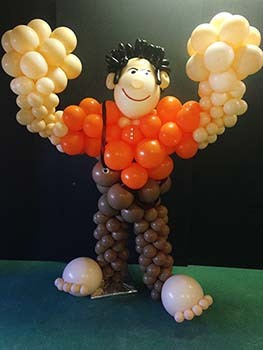 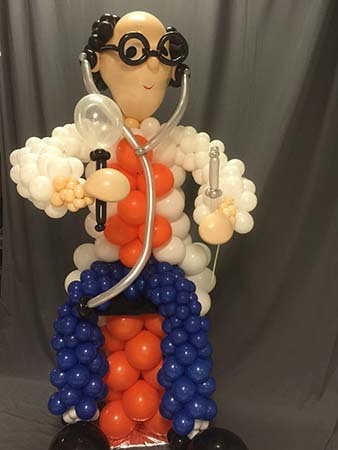 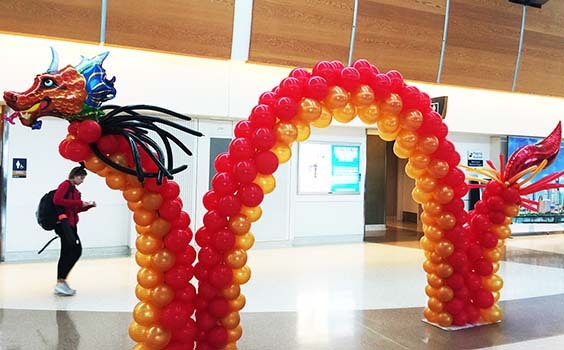 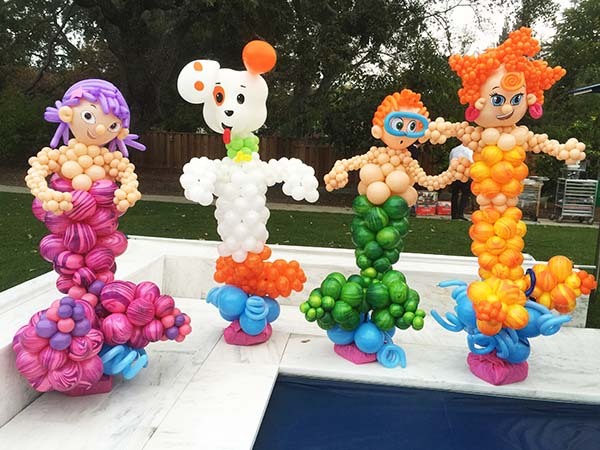 Unique balloon animals and other twister creations are also a great party favor. 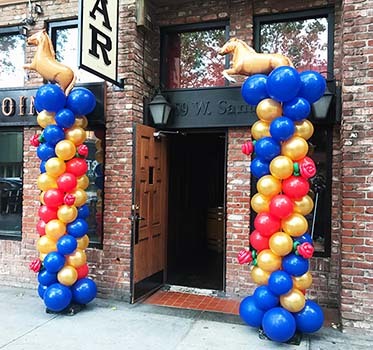 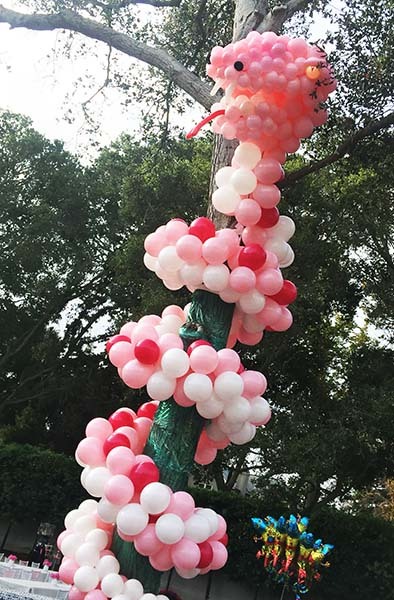 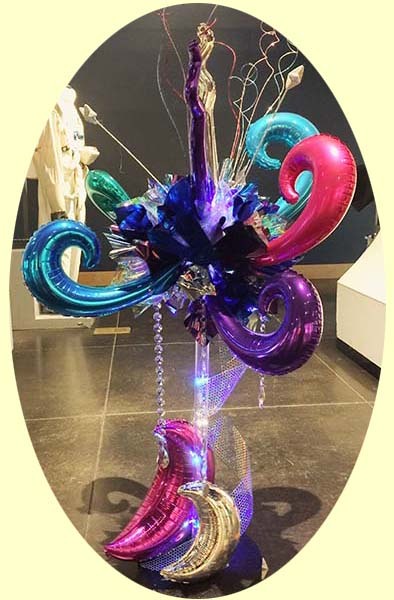 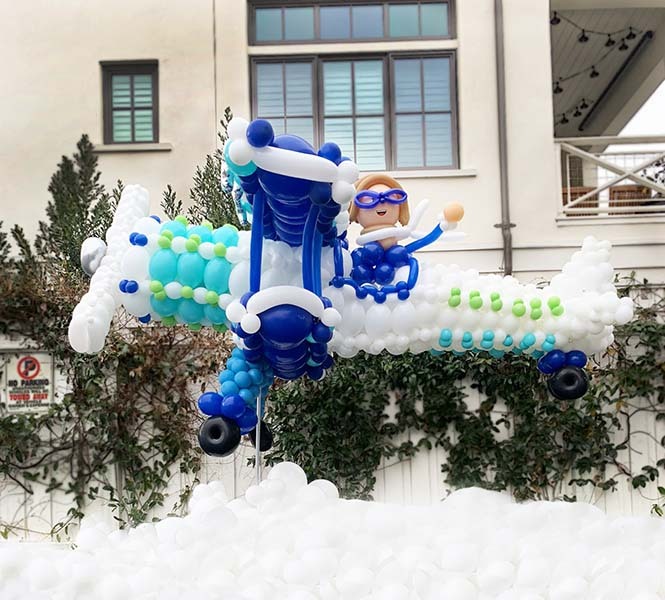 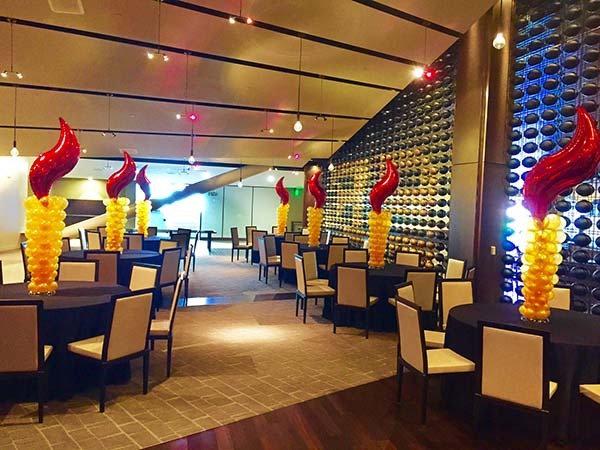 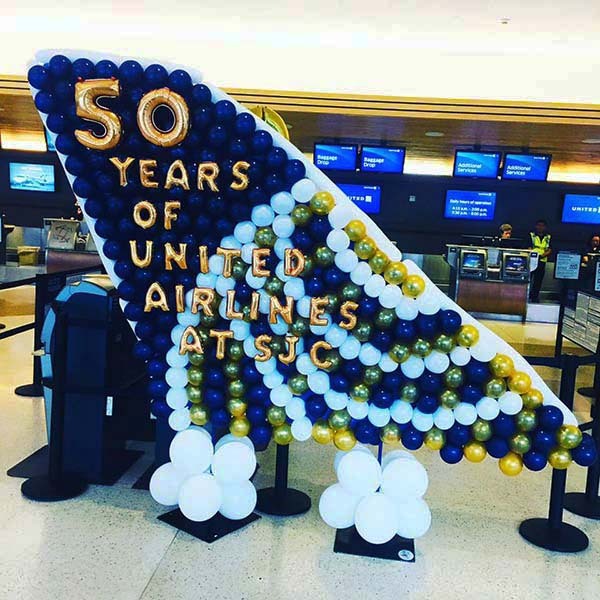 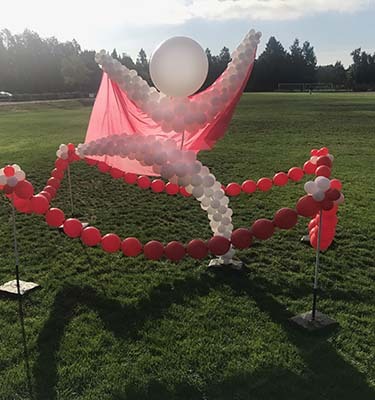 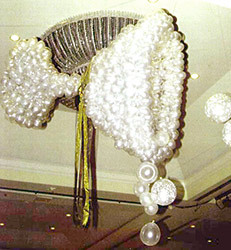 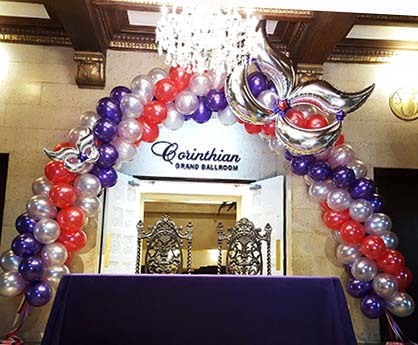 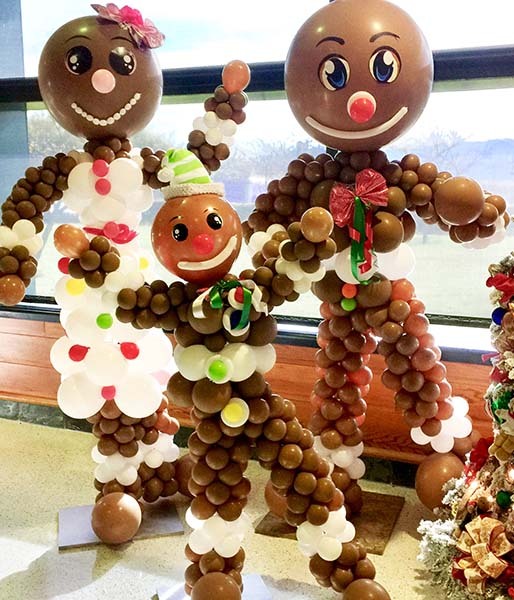 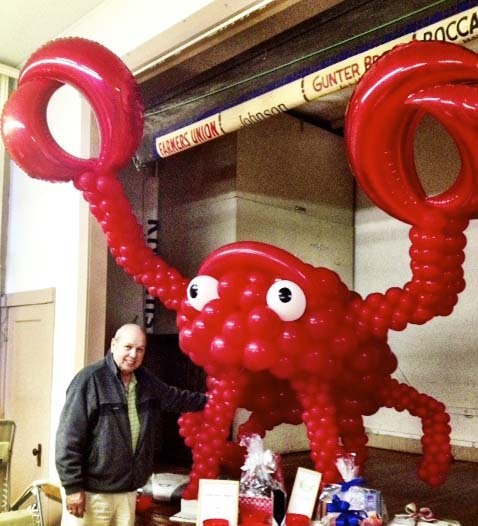 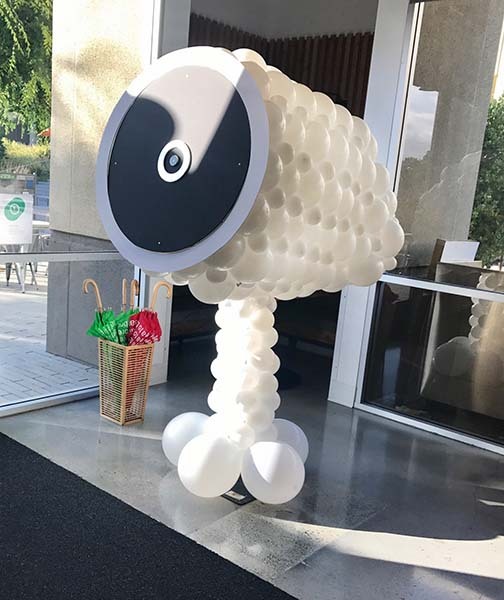 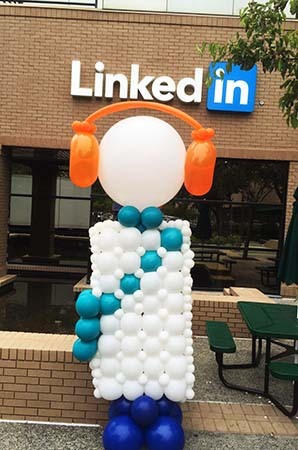 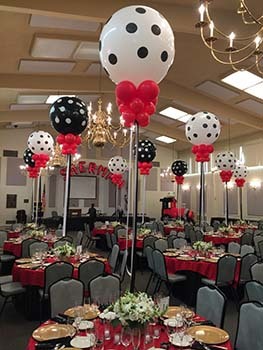 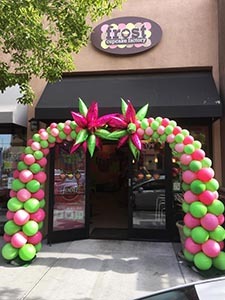 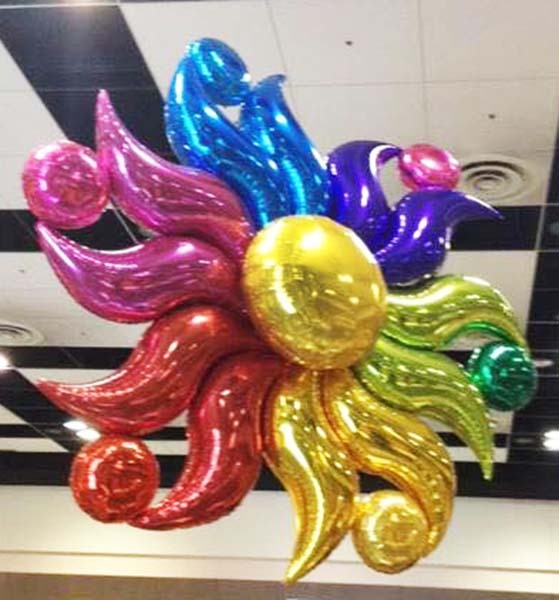 We are experts at designing unique customized balloon bouquets, centerpieces, sculptures, logos and special effects balloon drops for a wide variety of events and celebrations. 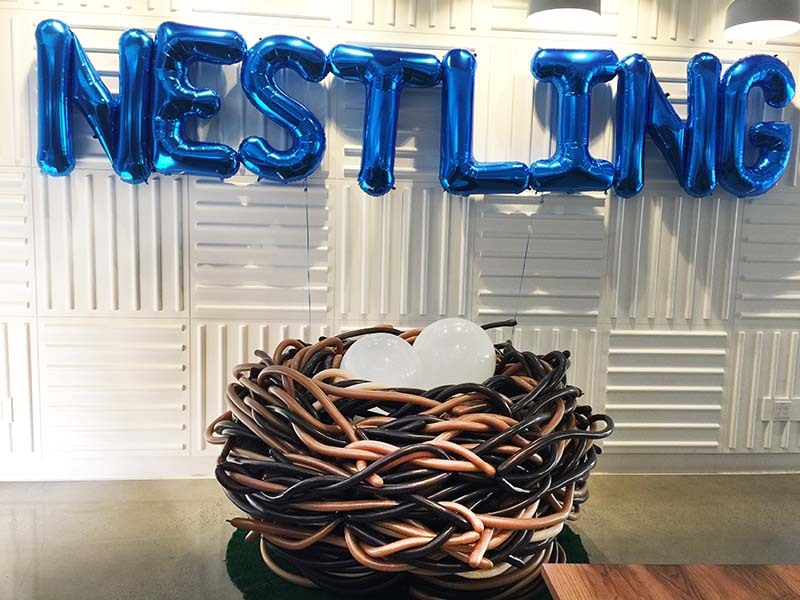 We encourage and reward leadership, teamwork and creativity among our staff members, and you’ll find working with them is a lot of fun. 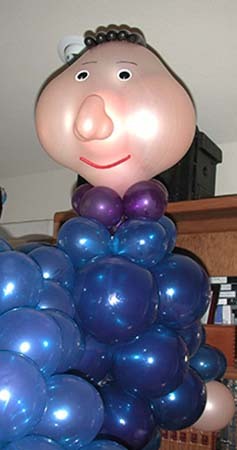 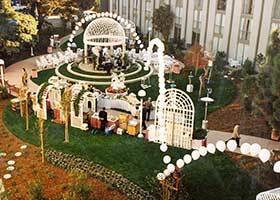 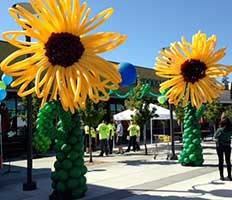 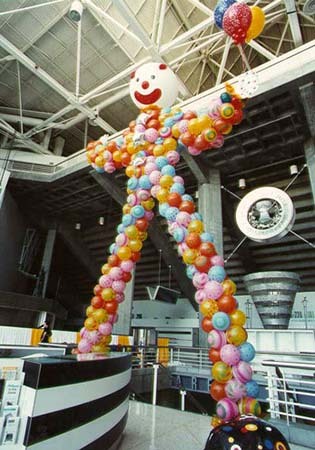 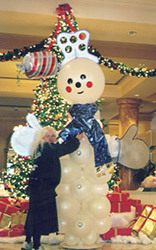 All photos on this website are of creations by, and are the property of, Balloonatics, Inc., Campbell, Calif.